This summer has been hot. It has been even hotter at the Di Institute for Social Leadership. This is our first summer at this location and even though we knew it would be hot inside we never thought it would be this crazy. The ISL is a small space with one small window, all our attempts to look at how to cool the place down led to the suggestion to purchase a A/C unit. We had someone come in and do an assessment of what kind of unit we would need and the cost. We were told to cool the room required 2 24,ooo BTU or ideally 56,000 BTU. This was approximately a cost of $J 200,000 or $US2,000. Once we installed a A/C unit we knew there would be an increase in the cost of electricity. All the options for cooling that we were presented with were expensive or required major structural changes to the building. THERE is no doubt that the small island developing states of the Caribbean are vulnerable to natural disasters, both in regard to their frequency and severity, in particular hurricanes. Disaster preparedness is therefore an important mitigating factor. Some climates, such as Jamaica’s, have a seasonal pattern of rainfall. We have two rainy seasons and in between there are dry periods. If these dry periods are longer than usual they are described as droughts. In a small land mass like Jamaica a drought affects the entire area of land. Therefore these annual droughts result in annual shortages of water throughout the country with the attendant water restrictions, lock-offs and unavailability of potable water. 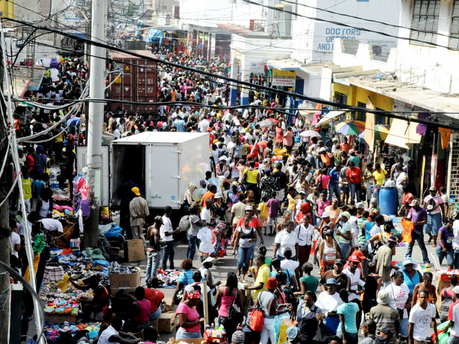 The pattern of rainfall in Jamaica in the last 30 years involves a dry season each year. Since this pattern is known and predictable, unlike hurricanes which are less predictable, it is certainly possible to plan for mitigation. The problem in Jamaica is that the lack of a water policy and/or its implementation has converted a natural annually occurring weather event into a disaster. This qualifies as a man-made disaster! 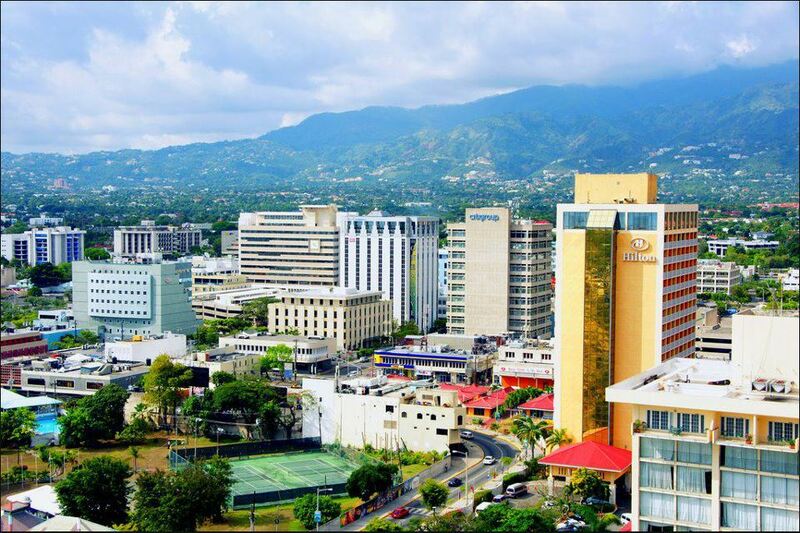 There should be no water shortage in Jamaica because there is enough rainfall and groundwater to serve the needs of the country well into the future, if there is proper management. There is no effective policy of collection, storage and distribution of water. There are 10 hydrological basins in Jamaica, none of which is optimally managed. The result of all of this is that even without a drought, one in four Jamaicans does not have access to piped water but rely on standpipes. Most of these persons are among the poorest 20 per cent of the population. We insist that Jamaica’s perennial water shortage is a man-made disaster because of the lack of an implemented policy of preservation of watersheds, eg the vast riverbed of the former Hope River, inadequate provisions for catchment of rainfall and hopelessly inadequate storage facilities. Ancient and decrepit water infrastructure results in more than half the water being lost due to leaking pipes. As is now clear, there has been no systematic plan for the catchment and storage of rainfall. No new reservoir has been built to supply the Greater Kingston area during the last 60 years. The Hermitage Dam was completed in 1927, but maintaining its storage capacity of 400 million gallons is a struggle against the accumulation of silt. The Mona Reservoir to be fed by the Hope River was completed in 1947 and, after several repairs for leaks, was brought into service in 1959. Droughts are acts of God but water shortages are acts of man and the failure to act. Governments over the last 50 years are guilty of negligence; the National Water Commission’s incompetence is beyond dispute and we the people of Jamaica are also responsible because we have been complacent and have tolerated the failure of successive governments. Building design is a major problem in Kingston and this is why the solutions for cooling that are presented are increasing electricity cost by purchasing A/C units. We are proposing to start a pilot project at the ISL for a “Green Roof”. We think this is something we can encourage through urban centres and other spaces in Jamaica as an option to cooling. 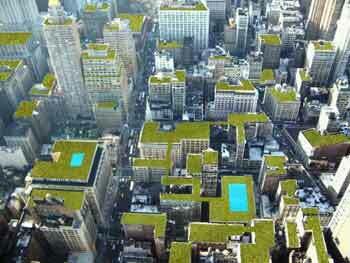 “A green roof, or rooftop garden, is a vegetative layer grown on a rooftop. Green roofs provide shade and remove heat from the air through evapotranspiration, reducing temperatures of the roof surface and the surrounding air. On hot summer days, the surface temperature of a green roof can be cooler than the air temperature, whereas the surface of a conventional rooftop can be up to 90°F (50°C) warmer.1 Green roofs can be installed on a wide range of buildings, from industrial facilities to private residences. They can be as simple as a 2-inch covering of hardy groundcover or as complex as a fully accessible park complete with trees. 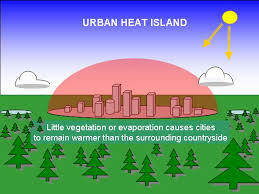 One of the reasons for the increase temperatures in the city or cities is the “urban heat island” effect. Posted on July 29, 2014 July 29, 2014 by dj afifaPosted in environment, global warming, Leadership, social action, sustainable development, urban planningTagged climate change, environment, featured, global warming, green roofs, living roofs, urban heat islands. Previous Previous post: Di Institute for Social Leadership launches the “Community University”.